Home staging with slipcovers is one of the easiest ways to update and improve the look of old, tired or taste-specific furniture items. Slipcovers have a bad reputation due to the way they were used and abused in years past. However, today’s slipcovers are fashionable, incredibly easy-to-fit and provide a custom-look and feel for a fraction of the cost of buying new furniture. Slipcovers are truly a home stager’s best friend when it comes to fixing furniture troubles in any home. 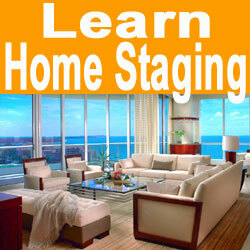 This essay explains the correct use of furniture slipcovers in the home staging sector of design. When I am talking about slipcovers, I am referring to the generic store-bought, shrink-to-fit, stretchy type which are all the craze in home stores coast to coast. I am also not referring to custom-made and ultra-expensive slipcovers provided by an interior decorator or upholsterer. Stretchy slipcovers are really simple to fit on to any couch, loveseat or chair and can be made to look perfect with just a few adjustments and maybe a few pins. Just be sure to measure your furniture carefully to prevent mistakes when purchasing. Although these stretchy covers are very forgiving, they can not be pulled too tightly or they might rip. Bonus tip: Add a few new throw pillows for a completely updated piece of furniture. Most people still have the wrong idea when it comes to slipcovers. They tend to buy ones which appeal to their sense of design and style, when all along, the home stager is trying so hard to rid their residence of this very influence. Always remember to purchase slipcovers in neutral and solid colors. Do not buy patterns, ever. Once you have the right slipcover, be sure to use the other items in the room to provide interest and splashes of color. 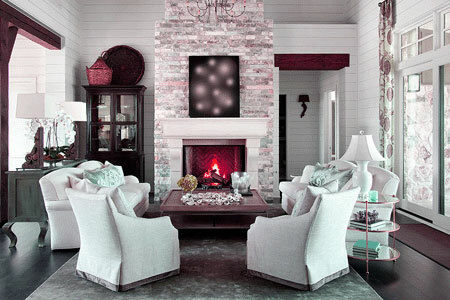 Throw pillows work great for these aesthetic accents, but once again, do not go overboard here. Another note of importance: Do not buy everything in perfectly matching shades. Slipcovers that are the same color as the walls, accessories and carpet will not enhance any room. Instead, gently contrast shades of color against one another for a more appealing design. I can not tell you how many homes I have made into virtual showplaces using slipcovers on the owners existing furniture. 5 minutes work and a few dollars invested is all it takes to make an ugly and outdated living room set into a brand new and contemporary designer room. It really is that easy. I recommend avoiding the upper-end and lower-end of the slipcover price segment. There is no reason to spend too much and spending too little will make the furniture look like old furniture wearing an ill-fitting dress. Buy in the medium range and you will be happy almost every time, both with the style and the cost.